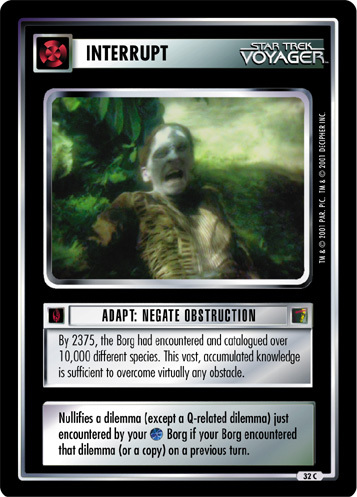 The Borg do not typically take preemptive measures against potential hazards. Once a threat is established, however, resources are allocated both swiftly and efficiently. Downloads one or drone. 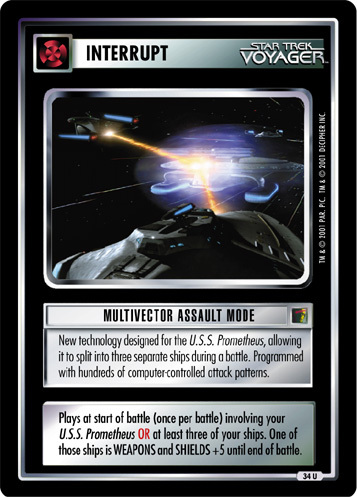 OR Plays at start of battle to download to one of your ships at that location one drone (two if opponent initiated the battle).